Gowalla: Will It Be Google's Next Announcement? It was inevitable once Google announced they were to acquire Zagat, the race for lost applications to engage travel. 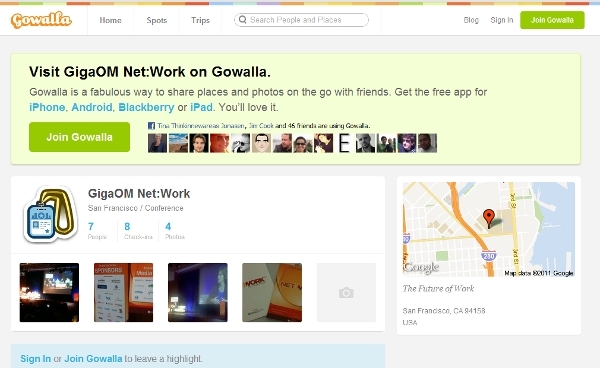 TechCrunch already reported on Gowalla, so did GigaOm, PC Mag, anyone “interested” in Gowalla. According to Chief Executive Josh Williams (why’s he smiling? 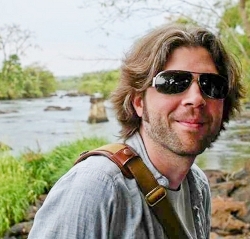 ), via PC Magazine, the Gowalla site will “re-focus” primarily on travel now. The selling point being, in depth guides, travel stories, relating the experience of travel – all conveniently on Gowalla. But, the really interesting part is, the strategy stands a good chance of working. 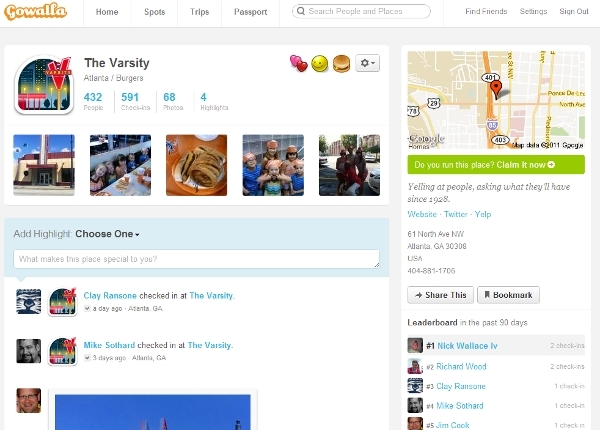 The Foursquare competitor that stood a chance back when, has now magically been transformed into Foursquare-meets-Stay dot com-on top of DK Travel Guides-er-sumpin. $10.4 million since 2008 and Jason Calacanis and all those partners have to be looking at ROI by now. If the developers can get into the Google acquisition stream… Did I suggest that? Well, it is a sound strategy, I must say. Despite my natural inclination to blow a raspberry at Williams and my contemporaries in the tech world, the fact is Gowalla in this genre is brilliant. Yeah Jason, even though you blew off that interview 5 years ago, I don’t hold a grudge. Just a quick look at Atlanta (my most prevalent home town) showed the error of my critical thinking about Gowalla (what the hell is it with this name?). Look at the screen below. Now, the Varsity is one of the about 10 places to eat in the United States I actually miss having been here in Germany for some years. For the future user of this interface (on Google’s Motorola Droid – more likely) about all the web version of this platform is good for is showing you stuff. But, when (if) Sergey, Larry, and Co. go ahead and buy Gowalla – the mobile version of this can rock with value. The coming travel value will be the experience in a preview – and Gowalla already has some of that capability. The only thing missing in my investigation were the pictures and video of people eating chili dogs by the hundreds. I checked out a lot of spots and features of Gowalla. While not without flaw (sometimes cheesy for instance) the platform does what it is meant to, help people interact about places – and vice versa. Copenhagen and some other places we have been and know were not as populated with data yet, but this is a common and relatively easy fix. No matrix of data is going to be complete without massive adaptation. 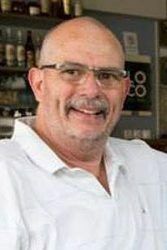 The point for Gowalla is, with TripAdvisor reviews looking more like the bubbles from the Titanic, and none but a few actually innovating toward new age reviews – Gowalla has a lever. If Sergey, Larry, and Larry buy Gowalla (which they should) Foursquare has real problems and Google Travel saves a bundle and solves more points of pain – PLUS, they announce yet another Facebook burying news story :) This is what I figure will happen, especially if Josh Williams and Co. can cram some more great International content, and a bit of traction in there. Why would Google even think of buying Foursquare for hundreds of millions, if they could get as good for tens of? It is an interesting speculation, no? Well, I have been right and wrong before. You guess. One thing worth bearing in mind is the uncanny way Gowalla resembles aspects of Google + too, but that could just be me. I can see it incorporated actually! Hmm. Well Sergey, we’ll see via the next blog announcement I know. Nice work Gowalla, you convinced me.